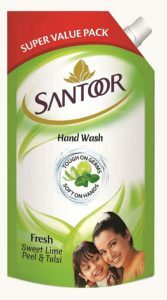 Amazon is selling Santoor Hand Wash Fresh – 750 ml at Rs 94. It is a very good deal. SO, hurry up!! its a awesome Product.Tough on germs, soft on hands. So, Hurry up! !